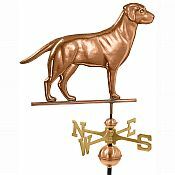 Add a touch of charm to your home, shed or garden with this beautiful Labrador Retriever Weathervane. 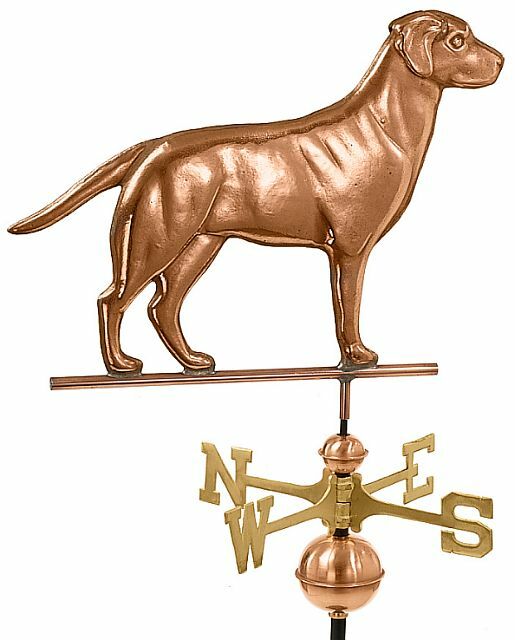 This standard size weathervane has an attractive polished copper finish. The polished copper finish develops an attractive patina over time. This weathervane combines classic design with high-quality craftsmanship. The figure, directionals and spacer balls are made of durable copper and brass for years of enjoyment. Dimensions of weathervane alone: 23"L x 17"H.